How about getting into knockout shape with the mixed martial arts inspired workout designed to slash inches off your waist, blast away belly fat, and carve total-body definition! Introducing CORE DE FORCE! Order now and get the MMA Mashup bonus workout DVD, a $19.99 retail value. 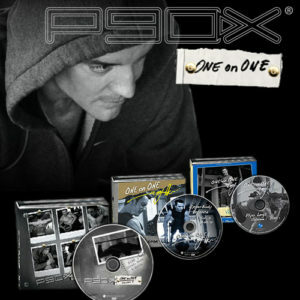 BeachBody has provided Intense Fitness with a limited supply of this bonus CORE DE FORCE DVD. We are giving them away with each order of the CORE DE FORCE workout. With CORE DE FORCE, you wont get a run of the mill kickboxing workout. Youll get a total body shred that focuses on blasting fat off your core no equipment needed. In 3-minute “rounds,” you’ll alternate between Boxing, Kickboxing, and Muay Thai combinations, cardio spikes, and bodyweight training for an insane calorie burn. And that’s just the beginning. Because each move, whether it’s a jab or an uppercut, is rotational meaning you get a 360 degree core workout that’ll tighten up your midsection and shed fat off your belly, fast. All you have to do is hit it hard for 3 minutes at a time. Before you know it you’re done. And in 30 days? You’ve got your knockout body. What could you accomplish in 30 days? How about getting into knockout shape with the mixed martial arts-inspired workout designed to slash inches off your waist, blast away belly fat, and carve total-body definition! Introducing CORE DE FORCE! Anyone can do these zero equipment, total body workouts. Just follow the modifier until you’re ready to kick things up a notch. Plus, each workout includes a step by step breakdown to help you master the moves. There are no shortcuts to success. But the tools and tips in this 3 step guide come close. Follow them and you’ll be well on your way to giving body fat the one two punch. With this Eating Plan, figuring out what to eat to get your knockout body is never a battle. Inside you’ll find everything you need to get results including signature recipes, sample menus, and a revolutionary approach to eating MORE to fire up your fat burning metabolism!